Spy Hop is a nonprofit organization that, according to its website, is committed to helping students ages 13 -19 “express their voice and with it create a positive change in their lives.” It does this by using digital technologies as a means of artistic expression. 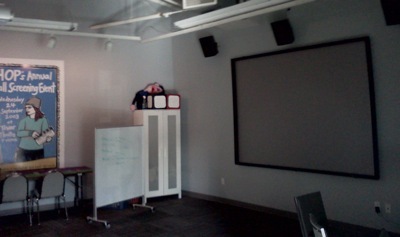 Spy Hop has programs that teach students self-expression through film, audio, music, web design and video game design. Rick Wray and Erik Dodd founded Spy Hop in 1999. At the time, Wray and Dodd owned Higher Ground Learning, a for-profit academic tutoring facility. Matt Mateus, programs director at Spy Hop, said in an interview that what Wray and Dodd discovered while tutoring became the basis for forming Spy Hop. “They found that when they introduced film and video into their tutoring it was way more engaging for the student,” Mateus said. Since Spy Hop also focuses on the development of the student, rather than simply teaching them technical skills, it uses self-expression as a means to teach students principles such as community awareness, emotional competency and high productivity. “Our success really comes when youth leave here as engaged productive citizens, they succeed in the work force or higher education and have an opportunity to share their voice with the rest of the world,” Mateus said. In an effort to achieve this, Mateus told of five fundamental goals that Spy Hop focuses on for all of its programs. These goals focus around: providing a safe after-school program, fostering artistic expression, developing educational and workplace readiness skills, developing emotional competencies and increasing media literacy, personal awareness and global connections. To better reach its vision, Spy Hop has a unique way of working with the students. Because of this teaching technique, teachers at Spy Hop are called mentors. They spend one-on-one time with each of their students to establish a trusting and respectful relationship, along with helping with their projects. This became apparent when Mateus, who’s a mentor in the music program, was giving a tour of the studio. He noticed a game-design student eating popcorn near the computers. Shannalee Otanez, 24, an instructor for Loud & Clear said, “I love it all. I love seeing young people feel empowered to believe in themselves, and to feel like they have something important to share.” She feels she’s in a great position as a mentor at Spy Hop since she’s a former student. “I benefited from it myself, so I get what kind of impact it can have,” she said in a phone interview. Shalom Khokhar, right, works on his audio project. Shalom Khokhar, 19, from South Salt Lake, has come to understand that impact as well. Khokhar is a student in the audio apprenticeship class. He said the two main things that Spy Hop has taught him are priorities and responsibility. “Once you come in, you sit down and it’s all about your work ethic, which you can apply in your other life too, in social settings, school, education, whatever,” Khokhar said. Spy Hop isn’t just helping students to become better people; it also helps to prepare them for the work force. The students work on projects during after-school hours using modern digital equipment. Khokhar and his apprenticeship class, for example, are currently working on the sound for a film produced by Spy Hop called “River’s End,” which is a story about a boy who, after his dad leaves his mom, goes and plays by a river and meets an imaginary friend. Him and his friend then run away and have some adventures. Khokhar says that a project like this takes skill in sound editing which he is happy to be developing. Mateus is proud that Spy Hop is helping to create the next work force in the industry. Along with personal and life skills, Spy Hop is providing its students with a leg up by giving them hands-on training. What if you turned on the radio and heard this: “A young man was stabbed today in a probable gang fight in Bountiful.” Would you be surprised? Now imagine if the radio said it was in Rose Park. “Stereotypes don’t reflect crime statistics,” said Sarah Munro, associate director of University Neighborhood Partners. Founded Nov. 1, 2002, UNP is a program that “brings together University and west side resources for reciprocal learning, action, and benefit.” According to its website, UNP collaborates with communities and nonprofit organizations in an effort to “provide access to higher education.” Its drive comes from the idea that education is the key to strengthening both families and communities. UNP has many challenges to its work. “The difficult thing is that people want to know what changes are happening,” Munro said. She said it’s difficult for UNP to measure its success because success doesn’t come from UNP’s work alone. Since its main focus is to create partnerships, UNP finds success when its partners do. This doesn’t mean that success cannot be tracked. 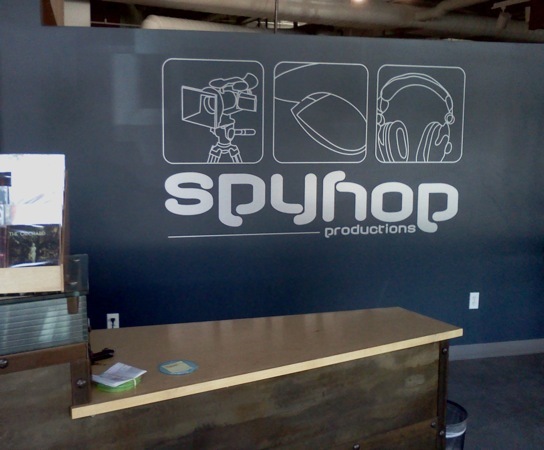 One organization that UNP has partnered with in the past is Spy Hop Productions. Spy Hop Productions works to help students on the west side. Spy Hop works directly with its students over long-term mentor-based instruction. 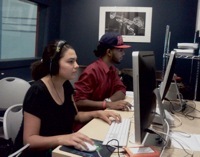 The students get hands-on tutoring as they work on media stories, documentaries or music recordings. “There are so many success stories, I couldn’t think of just one,” Pearce said. Matt Mateus, a programs director at Spy Hop, shared one student’s story that can be counted as a success for both Spy Hop and UNP. He says a student who grew up in Rose Park in an underprivileged family came to Spy Hop wanting to be a recording engineer. But he needed special classes that Spy Hop couldn’t provide. Spy Hop did, however, have contacts with universities that offered those classes. After the student had worked to raise the money, Spy Hop helped to send him to a school in Arizona that had a recording engineer program. “That student now works in Salt Lake where he owns his own recording studio,” Mateus said in a phone interview. Spy Hop and UNP do still share a common belief that drives each organization. “Preparing students for higher education is directly related to Spy Hop’s programming goals,” Mateus said. The organization collaborates with Salt Lake Community College (SLCC) quite a bit. These types of success stories are different from the articles normally published in the newspaper.